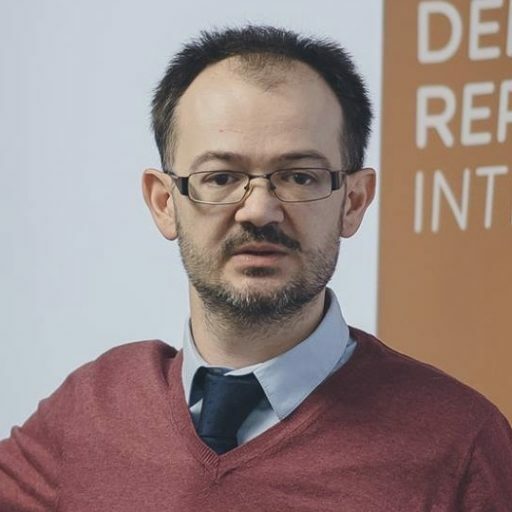 Maxim Timofeyev ist Professor für Völkerrecht und internationale Menschenrechte an der Europäischen Geisteswissenschaftlichen Universität in Vilnius, Litauen. On 19 January 2017 the Russian Constitutional Court (RCC) ruled that payment of just satisfaction in the Yukos case was contrary to the Russian Constitution. It is the first time the apex court of a Council of Europe member state concluded that it should not pay just satisfaction. This blog post provides the background of the case, sums up the reasoning of the RCC and assesses the implications of its judgment of 19 December 2017. Not–that–long but winding road: how did the RCC get here? It took the RCC less than two years and only three judgments to descend to today’s point. First, in its judgment of 14 July 2015 the RCC ruled in abstracto that in case of a “contradiction” between the Convention as interpreted by the ECtHR on the one hand and the Russian Constitution on the other, the latter should prevail and the respective ECtHR judgment could not be executed because it would violate the supreme law of the land. The RCC granted itself the powers to determine whether such conflict exists and whether it is possible to execute the ECtHR judgment. By the end of 2015 those self-proclaimed competences found their way into legislation when the Russian Parliament amended the law on the RCC by adding a separate Chapter XIII.1. The judgment of 14 July 2015 and the subsequent legislative amendments attracted significant criticism. The Venice Commission in its Interim Opinion stressed that the Russian stance on the issue of execution of the ECtHR judgments in cases of normative conflict ran counter to the requirements of Article 27 of the Vienna Convention on the Law of Treaties. Such an approach, the Commission opined, was not only legally unsound, it was imprudent because of the chosen “all or nothing solution.” The later implies that if the RCC establishes that there is a conflict between the Constitution and the ECHR the only choice it has is to refuse to execute the ECtHR judgment. This automatically places the state in the shoes of a violator of its international obligation under Article 46(1) of the ECHR. It did not take the RCC long to use its Chapter XIII.1 powers. The judgment of 19 April 2016 demonstrated that the concerns voiced by the Venice Commission were not taken on board. The RCC ruled that the judgment in the case of Anchugov and Gladkov v. Russia in which the ECtHR had found the absolute and indiscriminate ban on prisoner voting in breach of the ECHR could not be executed. In the RCC’s opinion, the execution would contradict the clear and explicit constitutional ban on prisoner voting enshrined in the Russian Constitution (see the analysis published earlier by my colleagues and myself). Such a conclusion is hard to accept. For the RCC there was one obvious way out from this deadlock, namely to decide that the execution of the Anchugov and Gladkov judgment was mandatory and possible through the constitutional change. Such a decision would have been sound from the perspective of both domestic and international law. Instead, the RCC felt that exceptional circumstances called for the exercise of its self-reserved “right to objection” to Strasbourg. Although the RCC mentioned that it would resort to this “right to objection” in extremely rare cases, it heard the next such “rare” case already in December 2016. On 19 January 2017 the RCC ruled that another judgment of the ECtHR cannot be executed by Russia. Before I sum up the reasoning of the RCC, a few words must be said about the ECtHR judgments in the case of OAO Neftyanaya Kompaniya Yukos v. Russia. By its judgment of 20 September 2011 the Strasbourg court found Russia responsible for two violations of Article 1 of Protocol 1. Firstly, the ECtHR concluded that the RCC by its judgment of 14 July 2005 unforeseeably changed the interpretation of the provision of the Russian Tax Code, thus lifting the three-year statutory time-bar and freeing the way for the prosecution of the company for tax evasion. Secondly, the ECtHR concluded that the enforcement proceedings against the company that included the seizure of Yukos' assets, the forced sale of the company’s main production unit and the payment of the 7% enforcement fee amounted to a disproportional interference with its rights under Article 1 of Protocol 1. By a separate judgment on just satisfaction (judgment of 31 July 2014) the ECtHR awarded 1,866,104,634 Euros to be paid to the company’s shareholders in respect of pecuniary damage. It was this latter judgment on just satisfaction that the RCC found to be non-executable. The RCC put forward three main reasons for its decision. Firstly, the RCC noted that both the prosecution of the company for tax evasion and subsequent enforcement proceedings were based on legal provisions that it earlier had found in compliance with the Russian Constitution. The RCC stressed that its interpretation of the applicable provisions of the Russian Tax Code and the Enforcement Proceedings Act had revealed the “only possible constitutionally acceptable meaning” of those provisions. Thus the RCC elevated the status of the said provisions to a level almost equal to the provisions of the Constitution. Secondly, the RCC relied on the historical context of the late 1990s. It argued that those were the years of “economic uncertainty” that contributed to the uncertainty of tax legislation and judicial practice. It also pointed out that the Russian state was striving to catch up with the tax avoiding strategies of big actors such as Yukos. It was this historical context that called for special measures aimed at filling the budget in order for the government to be able to implement its social welfare policies. In fact, the RCC noted, had the authorities decided to apply the statutory time-bar in Yukos case, they would have acted in contradiction with the Constitution that requires the state to ensure the payment of taxes by every person as required by the principles of equality and fairness. Thirdly, the RCC stressed that Yukos was acting in bad faith by using tax avoidance schemes. Taking the second and the third factor into account, the RCC opined that the measures that the state authorities applied in the company’s case could not have been reasonably unforeseeable for Yukos. Then the RCC concluded that given the abovementioned factors, payment of just compensation from the Russian budget to the shareholders of the company that was involved in vast tax avoiding activities would be contrary to the constitutional principles of equality and fairness. Thus the execution of the ECtHR judgment on just satisfaction is not possible. The judgment of 19 January 2017 did not open Pandora’s box. That box has been open since July 2015 when the RCC ruled that the international obligation to execute the judgment of the ECtHR was not unconditional. However, one might have hoped that the impact of such decision would be modest given that the possible conflicts between the Russian Constitution (to be more precise its chapters 1 and 2) and the ECHR are exceptional and rare. This hope, had it ever been cherished, now must be abandoned for two reasons. First, the RCC extended its Chapter XIII.1 powers beyond cases with a conflict between the Russian Constitution and the interpretation of a conventional right given by the ECtHR. In Anchugov and Gladkov, the source of the violation found by the ECtHR was a ban on prisoner voting enshrined in the text of the Russian Constitution. To the contrary, in the Yukos case the violations found by the ECtHR had nothing to do with the constitutional provisions. However, the RCC concluded that it could use its powers because earlier it had upheld the legal provisions applied by the Russian authorities in the case of Yukos. According to this approach, nothing stops Russia from utilising the same procedure in analogous cases already decided by the ECtHR, such as for instance Konstantin Markin v. Russia and Sabanchiyeva and Others v. Russia. In both cases the ECtHR found violations that call for the amendment of the legislative provisions that earlier had passed the constitutional muster in Russia. Additionally, given the RCC’s tendency not to construe its Chapter XIII.1 powers narrowly and its inclination to rely on such wide concepts as equality and fairness the possible impact of the judgment of 19 January 2017 is over-reaching. Second, the RCC applied the Chapter XIII.1 procedure to the issue of payment of just satisfaction. Indeed, it may be argued that the constitutional nature of the provision at stake (such as for instance the ban on prisoner voting in Anchugov and Gladkov) requires the RCC’s involvement as far as general measures are concerned. However, it is hardly possible to justify such involvement in relation to individual measures, in particular the payment of just satisfaction. Nevertheless, the current approach introduced by the RCC on 19 January 2017 is all-inclusive: it makes it possible to challenge the constitutionality of both general and individual measures including the payment of just satisfaction. To sum up, the judgment of 19 January 2017 is a poorly reasoned decision by which the RCC stretched its powers that were already tainted by their incompatibility with Russia’s obligations under international law. These powers were utilised to cover the state’s reluctance to pay just satisfaction awarded by the ECtHR. From the international law perspective, however, the RCC’s decision does not shield Russia from its obligation to remedy wrongs identified by the ECtHR and execute its judgment. The RCC only deepened the distance between Russia and Strasbourg and increased the chances of escalating the confrontation even farther. Obviously, buying indulgences from an institution that is not authorised to sell it is a bad idea: one thinks one buys cheaply when in fact one pays dearly. SUGGESTED CITATION Timofeyev, Maxim: Money Makes the Court Go Round: The Russian Constitutional Court’s Yukos Judgment, VerfBlog, 2017/1/26, https://verfassungsblog.de/money-makes-the-court-go-round-the-russian-constitutional-courts-yukos-judgment/. The RRC decision was on 19 January 2017, not 19 December as stated in the first paragraph. @Andrew Cutting: sorry, our mistake. It’s corrected now.